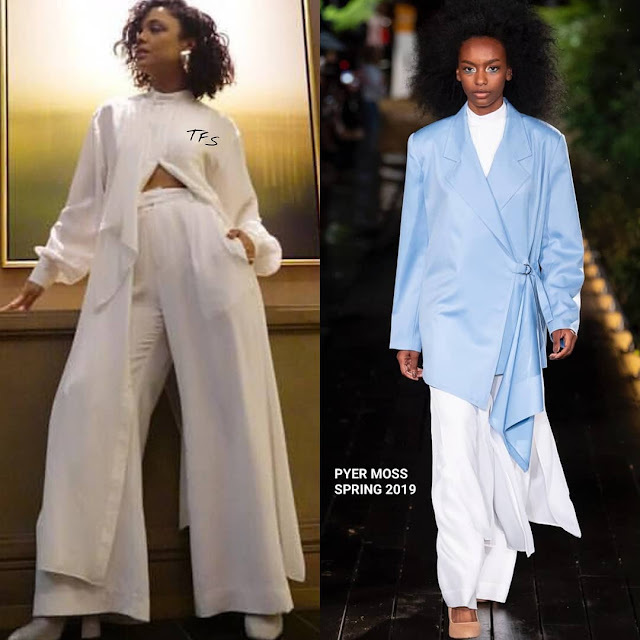 Tessa Thompson is currently on the promo tour for Creed II and stylists Wayman + Micah posted two different looks from her outings to this instagram page. 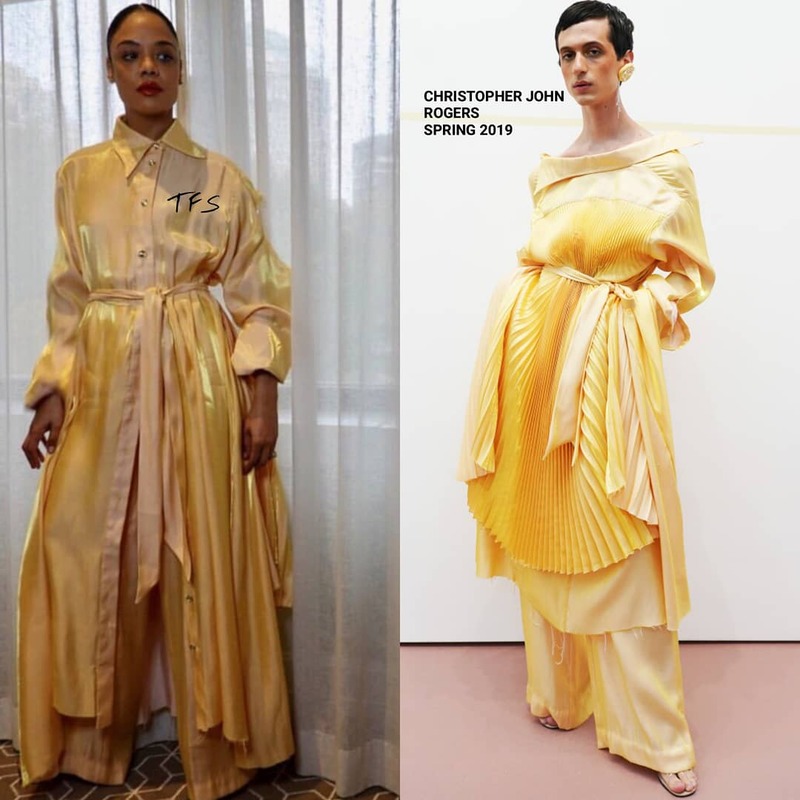 The first was a CHRISTOPHER JOHN ROGERS SPRING 2019 shimmery gold silk, tie waist shirt dress, with a pleated back and the matching wide-leg trousers. I actually love how the dress is shown backwards in the look book and I think Tessa could have pulled it off like that. Nonetheless, she still looked great. The second look was very similar to her first but it came courtesy of PYER MOSS. Her SPRING 2019 white tie waist shirt dress and matching wide-leg trousers, was teamed with glittery silver CHRISTIAN LOUBOUTIN boots. Side parted curls finished up her look. Which one of Tessa's instagram style are you feeling?